Happy Monday! How was your weekend? I spent mine creating content (finally!) and working my way through my To Be Read list. When life gets chaotic, reading is my go to. I love to write, it’s probably my favorite stress relief, but things have been so crazy lately that I just can’t find the words to write. So, reading it is! The first weekend in June, I bought some patio furniture for the area in front of my apartment. I love coming home and reading outside for a few minutes every day to shift my brain out of work mode and also curling up with a good book before bed to slow down my running mind. Here’s what I’ve finished recently, what I’m currently reading, and what I’m hoping to finish in the next couple of months! Bachelor Nation: Inside the World of America’s Favorite Guilty Pleasure This is a really fascinating read, not just about The Bachelor, but about society in general. Amy Kaufman digs deep and pulls back the curtain on the secrets of the show – the selection process, isolation, frankenbiting, and so much more. I loaned this to a friend after reading it, and she’s just as hooked as I am. Can You Keep a Secret? I love Sophie Kinsella’s writing so much that I’m on a mission to read all of her books. They’re a nice chaser to a bad day. This one is about Emma, who accidentally spills all of her secrets to a stranger during a near death experience… and it gets weird. Matchmaking for Beginners This was a Kindle Unlimited find and is a pretty sweet book so far with lots of twists and turns. Ultimately, it’s about love (and not just romantic love), and how it finds us when we least expect it and can turn our world upside down. It took me a bit to get into this book, but now I’m hooked. The Last Lecture My brother and I have a tradition – I buy him a new book after every track meet. This was one of the books he picked out, and he loved it so much that he gave it back to me to read. It’s a true story about a professor giving his last lecture, because he is dying of cancer. In all honesty, this one has been a little harder for me to dig into because of survivor’s guilt. But it comes with my brother’s stamp of approval, so I feel good about recommending it to y’all. I Know Why the Caged Bird Sings I was invited to a book club meeting(!!! ), and this is the book of the month. I read this in middle school, and I’m really looking forward to reading it again. A Portrait of Emily Price This seems like a cute, light read, and that’s what I go for at the end of a long day. I bought it at the used book store, but I recently discovered it’s available on Kindle Unlimited. I want to hear from you – what’s on your to be read list? What have you read recently that you loved? Let’s chat! PS – If you’re on Goodreads, let’s connect! Previous Post Holographic Beauty: It’s Not Just for Festivals! Actually haven't read any of these before, and I am such a bookworm! 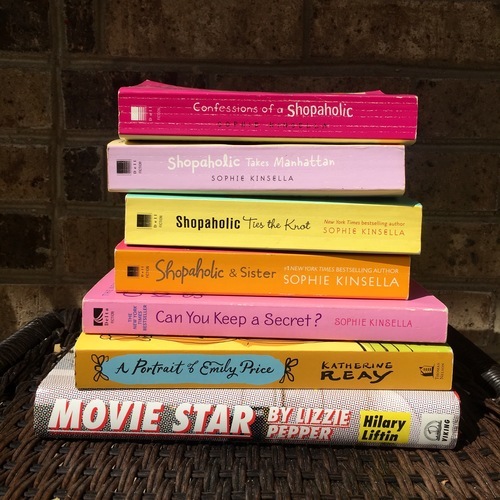 Sophie Kinsella's books sound perfect for light summer reading! Lately I've been really into thriller's and mystery books! What a great reading list!!! I'm looking for new books to dive into – thanks so much for sharing! "The Last Lecture" sounds right up my alley. Sounds like you have so many good reads here! I have been reading so many biz books lately. 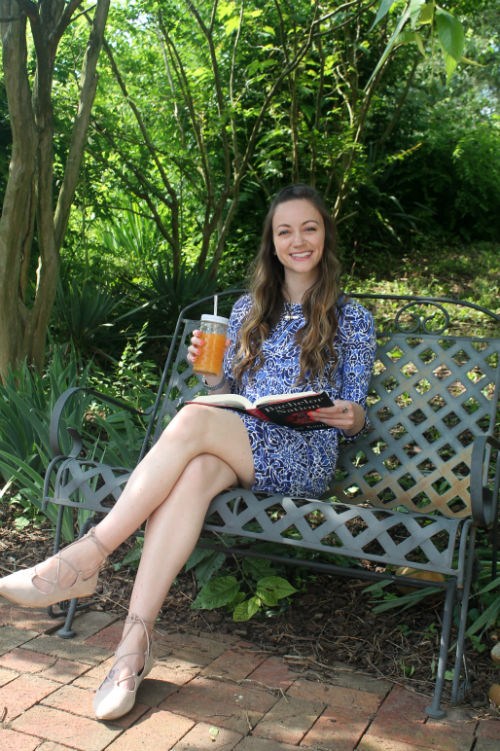 i would love it if you wrote a post about kindle unlimited… i haven't decided if that's worth it or not, but looks like you're reading some good books! Looks like I've got a lot to read! I need to add these all to my list! They sound so good!